In the true spirit of this day, Monday, June 22, 2009 – I changed my mind again. I decided to start off by listening to Brand New Day. The first song “A Thousand Years” is something that really suits the nighttime and it is actually 11:12 a.m. at this precise moment. I love the opening…it sounds as though it could be in a movie. 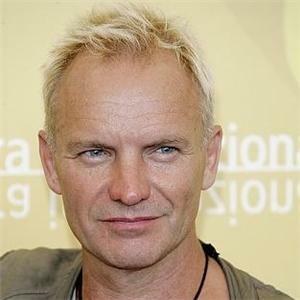 Sting has such a husky voice, a smoker’s voice. I am sure he would be considerate enough to smoke outside. I have not ever seen Sting in concert, however, he seems to have one of those voices that is the real deal. I think he would be amazing in concert, however, I think I would have to take out a loan to afford the ticket price. Sting is big time – and his career is one of extreme success, even when he was with The Police. It is interesting because I did not actually get the name for my main character from my book My Roxanne from Sting’s song “Roxanne.” I was actually motivated by the name of an old friend I used to have while in school that I have no idea what she is doing now. This young woman as I knew her is nothing like Roxanne, my character in My Roxanne. I just simply like the name – the same way my Mom chose my name because she simply liked it. I just love this song “A Thousand Years.” It has that Arabic undertone to it that is just fantastic and gives me the feeling that I traveled. It is truly a transcendental type of song, taking your brain to all kinds of places to travel to. Even the next song “Desert Rose” just rocks in a gentle, dare I say, fairly exotic way. The fact he has an Arabic singer doing the backup singing on this song is fantastic. It just sounds superb. This is meant to be played at high volumes. I do not want to disturb my neighbours though. They are students and probably need the quiet to study. Most of the CDs I have received have come from the library. There was a time when I went out CD shopping with a former friend of mine and spent $200.00 CDN on CDs. They were even second-hand and I went to the Bloor and Bathurst area in Toronto to shop with my former friend. When I was in financial problems, I had more than 200 CDs before that and sold them so I could pay my debts. I highly recommend not doing this. Do not sell books or CDs no matter how broke you are. Also, do not do anything illegal. At least the latter I am happy to say I did not do. It broke my heart to sell that CD collection that took me years to develop. I had CDs from all over the world and would even buy CDs from different places I would travel too and they were part of my collection as well. The Toronto Public Library and my sister became a saviour. My sisters helped to give me the idea that I could go to the library and borrow CDs, then burn them onto my computer. I ended up doing this a lot. It was terrific because I was able to build my CD collection again. I would not be able to write this book if it were not for my sister and the Toronto Public Library. Plus, book and CD gifts from my brother. Sting is still playing. This is a more jazzy song. It’s called “Big Lie Small World.” This would be a great time to take a break. Last week in Toronto there was quite a bit of rain. This song by Sting is “After the Rain Has Fallen.” Today is a bright sunny day. The upbeat tones are perfect for a day like this in Toronto. His voice sounds more assertive, more forceful. He is commanding the mic. The levels are terrific as anything that is published should be. I know these things from teaching radio at the University of Guelph-Humber and news announcing at Seneca College on York’s campus. There is a terrific backbeat that easily could get your fingers snapping. This is dancing music – no doubt – or hey, even writing music. Some of the drawbacks of borrowing music from the library are not everyone takes care of the material they borrow. There was a skip or scratch on the CD. No major problem – these are the kinds of things that would seriously make me consider seeing Sting in concert. Erykah Badu who I mentioned in the first chapter is someone who would play well in a small forum. The thing is she is such a huge artist that she could fill up the Air Canada Centre in downtown Toronto. Oh well, perhaps one day I will get my intimate audience with a singer like Erykah Badu. I would love private lessons actually. I have decided to get some other things done around the house while I just let Sting play. He is good for a day like today. I hope that by time Fields of Gold comes on I will be ready to comment on that. Actually, I am ready to comment on that now. I know that album so well. It was actually a friend of mine at the CBC who introduced that CD to me. Oh…I must interrupt for a moment with this latest song by Sting. It’s called “Perfect Love…Gone Wrong.” There is some rapping in French by an artist who honestly I do not know who it is. It does sound like MC Solaar. I love listening to French. I listen to many of my French CDs that I will mention later in this book series. It is terrific to hear the rap in French by the artist. It just absolutely rocks. How wonderful. The end is really strong with an almost choir-like, funky feel to it. OK…Sting has me hooked again even though I have listened to this CD so many times. Just have to answer an email now. From my memory of the music on this CD, there is a cowboy kind of song. Something that sounds like a modern western. The song that is playing now is a bit jazzy. It actually reminds me of “Roxanne.” “Fill Her Up” is the cowboy song. I think I will bypass this song to “Brand New Day.” This song is kind of moody and eerie. Definitely not a song I would want to hear before going to bed. It’s not that bad…however, you get the idea. It has a benign sinister quality to it. OK…now I am onto “Brand New Day.” Something much happier. I have always enjoyed this song. It starts off great (again, the kind of music you would hear in a movie). Great driving music too. The harmonica is terrific and really gives it a cheery sound. I just want to clap along, however, I must type this, I must write this book. Just got an email from one of my students actually that she had a friend die last week and things have been rough. I should have recommended to her to listen to this song. It is such a pick-me-up. It is inspiring and full of hope. We all go through rough times and it is so wonderful when we have music that will inspire us. Thank you, Sting. I want to end this before the song does. I want to keep thinking of all my brand new days. OK…now is Fields of Gold. It is so tranquil. I love this CD. I have felt so much calmer ever since I put on Sting’s stuff, in general really. The interesting story about this CD is that a friend of mine I know from the CBC told me about it. We would listen to it and discuss it. She used to live in a beautiful apartment with deep dark brown wood on the walls and beautiful furniture on the Danforth in downtown Toronto. She is now married to a nice man and has so many children I have lost count . This first song on this CD is called “When We Dance.” Definitely, my friend has been dancing to some wonderful songs with her husband and children. It is a shame I did not make it to their wedding. Now I’m listening to the title song, “Fields of Gold.” This one is my favourite. It is so lyrical and literary. Very well written. It makes me feel as though I am in a Scottish field somewhere walking through knee-high green grass. This is a great song for wine. Unfortunately, I do not drink anymore. Perhaps, fortunately,…we will see about that in time. My liver probably appreciates it. He even mentions summer in this song and it is terrific for a summer solstice that we are in now. It’s now still Monday, June 22, 2009, and summer has officially begun. There is so much going on in Toronto, however somehow, outside of work, I feel just as happy remaining at home and traveling in my mind. Especially when I have great music from Sting to keep me company.